Hanging a Wall Pocket on your door. Wall pockets come in a variety of shapes, sizes, weights and designs. 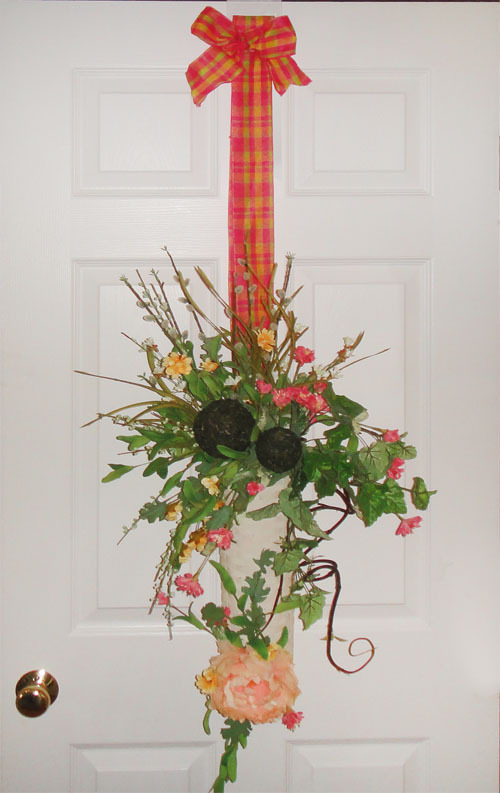 Just as traditional wreaths, they are a great way to welcome family and friends to your home. The big question is how do you properly hang them level and at the height you want? Metal door hooks, suction cups, magnetic hangers and plastic hooks restrict where the pocket will hang and they might not be strong enough to hold your wall pocket securely. The last thing you want is for your wall pocket to bounce around every time you open and close the door, or worse than that, fall off the wreath hook! We suggest using WreathPro, adjustable wreath hanger to hang your wall pocket properly and securely. 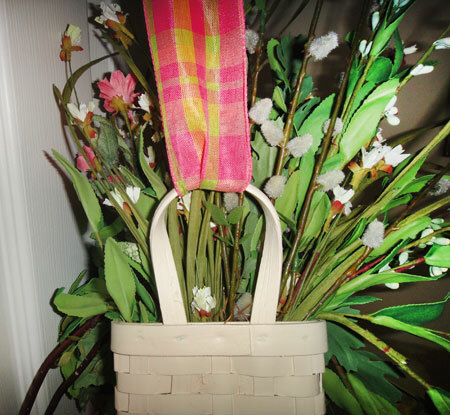 A decorative ribbon that you can change for any season, (spring, summer, fall and holiday) teamed with a strong, weight bearing invisible over the door hook will give you beautiful results each and every time. 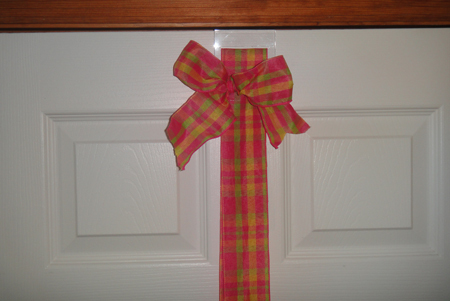 Tip: Tie a bow around the top of the door hanger for an extra designer's touch.